It joins all sorts of video files into a large avi file with transition effects. 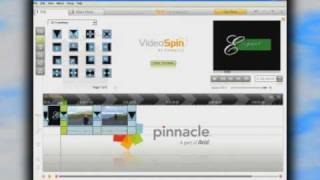 Open Video Joiner is a tool for joining all types of video files into one large AVI file with transition effects. It supports many source formats (MPG, AVI, WMV, ASF and more) though once they're joined they'll all be automatically converted to AVI. The interface of the program is clear and simple to navigate through. Videos could be imported into the list by using either the file browser or "drag and drop" approach. Batch processing is supported. In the "Options" area you'll be able to specify the output format (AVI, WMV, ASF or MKV) and address, to be able to carry on with the merging process. In addition, you can configure audio and video parameters when it comes to the resolution, frame rate, resize mode and compressor (e.g. correct smoothness, set data rate). Settings could be restored to their default values at any given time. The program takes up a pretty high quantity of system resources when it's busy with a task, immediately merges files and manages to keep a very good image and sound quality. With Open Video Joiner you'll be able to join as many videos as you would like in just one AVI file, with transition effects between them. Download and install Open Video Joiner safely and without concerns. What do you think about Open Video Joiner? Download.hr periodically updates software information of Open Video Joiner from the software publisher (DigitByte Studio), but some information may be slightly out-of-date or incorrect. Open Video Joiner version 3.0.6.1 for Windows 98/Me/Xp/NT was listed on Download.hr on 24.09.2018 and it is marked as Shareware. All software products that you can find on Download.hr, including Open Video Joiner, are either free, freeware, shareware, full version, trial, demo or open-source. You can't download any crack or serial number for Open Video Joiner on Download.hr. Every software that you are able to download on our site is freely downloadable and 100% legal. There is no crack, serial number, keygen, hack or activation key for Open Video Joiner present here nor we support any illegal way of software activation. If you like software product please consider supporting the author and buying product. If you can not afford to buy product consider the use of alternative free products. Is it safe to download and install Open Video Joiner? Open Video Joiner was checked for possible viruses by various leading antivirus software products and it is proven to be 100% clean and safe. Although, no malware, spyware or other malicious threats was found we strongly advise you to check product again before installing it on your PC. Please note that laws concerning the use of Open Video Joiner may vary from country to country. Please be sure that you are using Open Video Joiner in accordance with the law in your country. How to uninstall Open Video Joiner? How do I uninstall Open Video Joiner in Windows Vista / Windows 7 / Windows 8 / Windows 10 OS? Make sure the "Open Video Joiner" is highlighted and then make right click, and select Uninstall/Change. How do I uninstall Open Video Joiner in Windows XP? Make sure the "Open Video Joiner" is highlighted, then click "Remove/Uninstall." How do I uninstall Open Video Joiner in Windows 95, 98, Me, NT, 2000? Select "Open Video Joiner" and right click, then select Uninstall/Change.